Sign up for Broadjam today to follow Mephisto's Island, and be notified when they upload new stuff or update their news! 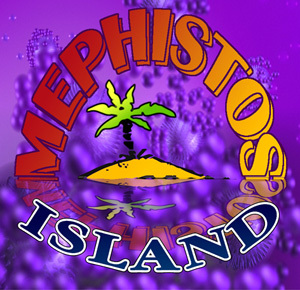 Mephisto's Island is the culmination of many bands and individual musicians from over a ten year period. The music is generally story based or a protest against the World's ills and is accomplished through folk - acoustamatic - rock with powerful lyrical statements....see myspace.com/mephistoisland for a regular update on the band's live progress not to mention the 'Mephistosaurus' and other fun stuff.